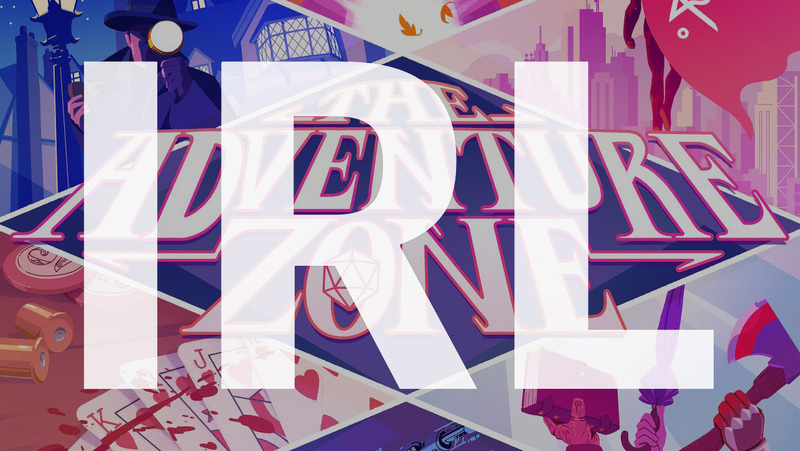 This week's IRL is about podcasts. Or games. Or both? Kris Naudus loves role-playing games -- the ones with dice rather than pixels -- and she also loves podcasts. Combining the two should be a dream, but Kris has struggled to get into some of the most popular shows. Until now. I never played Dungeons & Dragons when I was young. My role-playing was limited to a vampire LARP in high school and a d20 Star Wars game post-college. I was aware of D&D's existence, but it always seemed like something I would forever miss the boat on. Now, 20 years later, D&D is having a bit of a moment. Some of this is due to its publisher, Wizards of the Coast, updating the rules and embracing digital tools to make it more accessible to new and returning players. But a lot of its newfound popularity has come from groups recording or streaming their games for audiences, producing podcasts and shows like Critical Role and HarmonQuest. About two years ago, my book club started up its own campaign, and it didn't take long for people in the group to gravitate toward their favorite D&D shows. Some are partial to Penny Arcade's Acquisitions Incorporated (Acq Inc), having seen the team perform in person at a few PAX shows. But, for the majority, it's all about The Adventure Zone (TAZ). I was a bit hesitant to jump into TAZ: I never got into My Brother, My Brother and Me, the comedy advice podcast by the McElroy brothers, who also host TAZ, and it was starting to feel overhyped. My fellow gamers talked it up nonstop, Tumblr was full of fangirling and then one night I found my favorite bar filled with Taako cosplayers because (surprise!) the after party for the MBMBAM show was there. RIP to my peaceful night with a drink and a book. Eventually, I relented and gave the show a try, starting with the first arc, "Here There Be Gerblins." The first few episodes were understandably rough as the guys sort of figure out how to play D&D and what they want their characters to be. I got as far as the second arc, "Murder on the Rockport Limited," which, I am told, is when it starts to get good, but even as the flow improved, I still wasn't feeling it. So I moved on. A week ago PAX East took place in Boston, and I went with my brother and a few friends. The Acq Inc live show is always a highlight for us and, needing a new podcast in my rotation, I decided to give the early episodes a try in the week running up to the convention. It didn't blow me away, either, but I am impressed with how well-drawn the characters were from the start. Sometimes revisiting old things can be a bit of a culture shock, but all the base ingredients were present from the very beginning. It surprised me to notice little jokes and character traits that survived to this day. I can only hope my group can be this solid in 10 years. Of course, that was a simpler time, and now Acq Inc has grown into a beast, with costumes! Props! Special effects! (The animated recaps are my personal fave.) It's veered away from being a mere podcast, which I don't mind since I've discovered that maybe D&D is as much visual as it is audio for me. Yes, it's ultimately supposed to live in my imagination, and good storytelling should be able to do that. But D&D is also a game -- one that can get bogged down in its own rules sometimes, and that can be rough on listeners as players try to figure out things like bonuses and damage. I also like being able to see the players and the maps. Acq Inc has embraced its spectacle more and more with each episode, and that was on full display at PAX East as the team was dropped in the middle of "WizardUnknown's Battle Royale." Yes, that name should invoke a certain popular genre of computer game. It wasn't just a few in-jokes, either -- the players were stripped of their equipment and the available area was cut down as time passed. The screen graphic displayed recent kills and how many players were left, and it got pretty intense as that number dropped into the single digits. Also -- and this is a bit of a spoiler -- there were Twitch jokes. Which were hilarious if you're familiar with game streaming culture, but also still funny in the way overlaying modern elements onto a medieval fantasy world is (something Terry Pratchett excelled at in the Discworld series). It reminded me of how often I wish my gnome bard had a camera, because sometimes, after a particularly hard-fought or ridiculous battle, I just want to take a selfie. It just seems like something my character (who wears a shirt with her name on it) would do. I sometimes find myself missing technology in medieval fantasy stories, and I wonder if that might be why I never actively sought out Dungeons & Dragons when I was younger. I didn't read Lord of the Rings until I was out of college, and even now I tend to prefer fantastical stories set in an early 20th century-type world, like Fullmetal Alchemist or Legend of Korra. My speculative-fiction diet also veers heavily toward the modern day, from X-Files and Buffy the Vampire Slayer in the '90s to more recent entrants like Supernatural and Gravity Falls. So when my colleague Aaron recommended I give TAZ another shot with its "Amnesty" arc, about monster hunting in contemporary West Virginia, it was right up my alley. The show has just started its second season. but prior to that, the McElroys ran some experimental mini-arcs, switching game-running duties, systems and genres. Amnesty is run using the Monster of the Week RPG system, which is really evocative of how the tale is structured. It's very heavy on the storytelling, which is a godsend when you're trying to, well, tell a story. D&D sometimes gets bogged down in the results of die rolls, with potentially awesome moments in battle getting derailed by a critical fail, or terrifying monsters being waylaid in one turn by a clever player with just the right skill bonuses. As Amnesty tells a contemporary story, we get to enjoy elements of popular culture and technology without it feeling out of place or forced. Well, mostly, as Amnesty is set in the National Radio Quiet Zone, so radio and cellphone use is dodgy to nonexistent over the course of the arc -- the inability to contact people remotely plays a role at several points. A rules system that doesn't get too wrapped up in specifics made the story easy to follow, especially if, like me, you're not familiar with the game being played at all. It's also a more collaborative storytelling system, with the players -- Justin, Travis and Clint -- playing a larger role in how the story is shaped and where it ultimately goes. The first season of TAZ was accused of "railroading" its players to move the plot forward as intended, so it's nice to see the boys being allowed to drive more. The five-episode mini-arc of Amnesty still wrapped up rather nicely, with the characters being left in a place where, if we never saw them again, it wouldn't feel like we were cheated, but with an inkling of more to come. Which we do get, as episode six, the first episode of the second season, was released last Thursday. I'll probably stick with The Adventure Zone for a while. Amnesty fills the gap in my heart left by the departure of cryptid-hunting, monster-of-the-week-type shows like Gravity Falls and Grimm. I love supernatural investigation as a genre, and it's even more interesting when it delves into American folklore -- something you won't see in the medieval fantasy world of Dungeons & Dragons, given its roots in the very Anglocentric Lord of the Rings. There's so much out there to explore beyond liches, fiends and, yes, dragons. Chupacabra, anyone?